Amercianware offers high quality fun, unique, upscale ceramic items. Our product line includes mugs, shots, travel drinkware and their shapes to fit auto cup holders, special nautical designs for marine application, and more and more style was added for its functional superiority. Our team work seamlessly together to mold designs, vibrant graphics and its signature looks that offer not only beautiful style but also creative solutions and user friendly functionality.Carry your small essentials in style with this perfectly sized canvas zip pouch; the convenient zippered closure makes access to your essentials quick and easy. 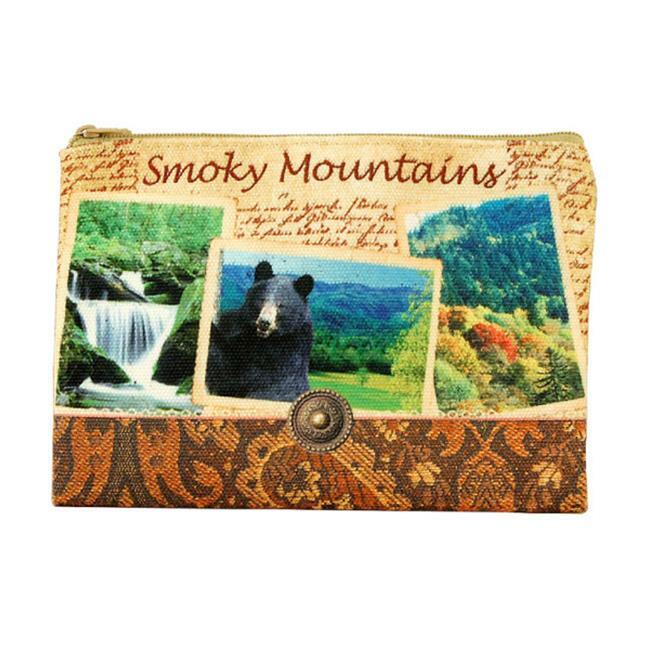 This colorfully designed pouch features iconic images of Smoky Mountains.